In human evolutionary history, it turns out that about 2 percent of us will find noncooperation a viable strategy. These are the people who "cheat" on the social contract. Around 2 percent is what research indicates is the equilibrium point, i.e., the carrying capacity of the “cheater” niche in our social ecology. If the number of cheaters falls to much less than 2 percent, then the rest of us get very trusting and naïve, and we become a population ripe for con men to running roughshod over our trusting ways. In such a context, being a noncooperator has a high pay-off, which breeds more noncooperators. As the number of noncooperators goes up, the rest of us become increasingly aware of the threat. We put up our guard; we put energy into protecting ourselves from scams, and catching and prosecuting criminals. Then the benefit-to-risk balance doesn't favor noncooperation so much, and the number drops again. It settles into an equilibrium. Across millions of years of human evolution, there has tended toward an equilibrium at around 2 percent of the population noncooperating – that is, being sociopaths. The human genome produces, at a 2 percent rate, people genetically unable to empathize. It does so because that's the equilibrium rate at which sociopathy is a successful strategy for staying alive and having offspring. These 2 percent are the “primary" sociopaths. They can feel the basic emotions – such as anger, fear, sadness, disgust, surprise, joy, acceptance, and anticipation – but cannot feel what are called the social emotions. They don’t experience love, or guilt, or shame, or remorse. In addition to these primary sociopaths, there is another group of people, the secondary sociopaths, whose genes make them nearly sociopathic. Whether they become sociopathic or not depends on their environment. We could call sociopaths "evil" – implying that there’s an imperative to destroy them. But once we understand sociopathy, we can see alternatives. For primary sociopaths, as part of the genetic package that equips them to occupy the niche in our world that they do, along with an inability to have the “social emotions that normally contribute to behavioral motivation and inhibition,” they also are “high on novelty-seeking, low on harm-avoidance, and low on reward-dependence.” They’re thrill-seekers – looking for high levels of physiological arousal – perhaps because that’s the only way to feel alive in a reality where they can’t pick up on anybody’s feelings but their own. You put all that together, and you can see where the Charles Mansons and the Jeffrey Dahmers come from. The fictional Walter White from the TV series "Breaking Bad" fits the pattern. 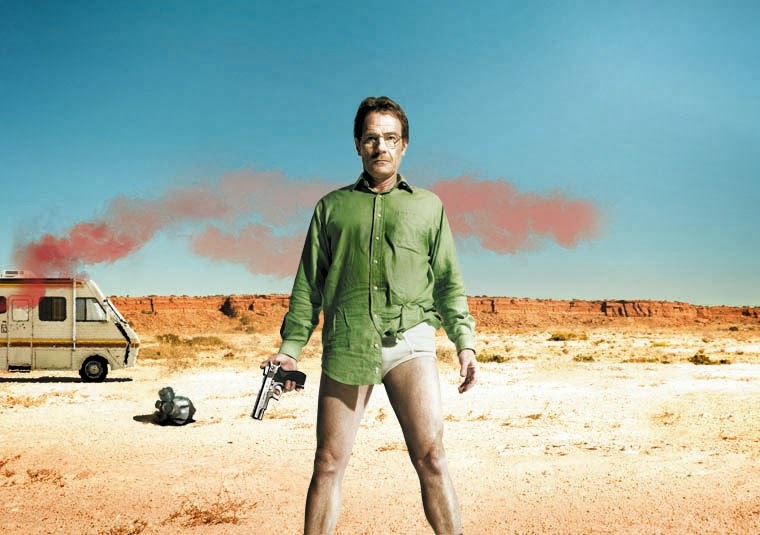 He breaks bad because it was thrilling to make methamphetamine and vie for survival against law enforcement on the one hand and crime bosses and gang leaders on the other. He breaks bad because he doesn’t have the social emotions to counterbalance the allure of the thrill. RE: "increase the costs of antisocial behavior," remember that research indicates that increasing the probability of being caught is the primary deterrent. Increasing the severity of the punishment itself does almost nothing. RE: "alternatives to crime which could satisfy the psychophysiological arousal needs," we’re talking about finding these people appropriate jobs. Sociopaths don’t empathize, but they often get quite good at pretending to, so they can make good novelists, screenplay writers, talk-show hosts, and disk jockeys. Sociopaths also seek high levels of excitement, so they can make good stunt men, explorers, race-car drivers, and sky-diving exhibitionists. Let’s find a way to use the gifts they have, instead of just calling them evil, which doesn’t help us. Find a productive use for them, and they won’t have to use destructive outlets. Walter White needed something more exciting than being a high school teacher moonlighting at a car wash. In a more ideal society, we’d find productive ways to channel the arousal-seeking and the brilliance of our Walter Whites – not out of compassion for them, which we might or might not feel – but for our own sake. This is part 3 of 4 of "Evil & Sociopathy"
Next: Part 4: "The Bitter, the Sweet, and the Challenge"
Previous: Part 2: "Evil and Must Be Destroyed"
Beginning: Part 1: "'Evil' = Thought Stopper"